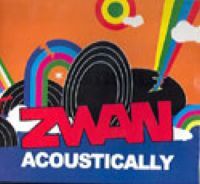 Billy Corgan�s post-Smashing Pumpkins project Zwan lasted just under two years and yielded one album, the relatively uninspired Mary Star Of The Sea. So there�s really no way to judge either the band as a pop entity � without, of course, comparing it to the Pumpkins � or this particular bootleg�s merits. It finds the group performing �unplugged� style (hence the title) before what appears to be a relatively small studio audience � presumably in an FM studio or in a Paris TV studio, and the material itself is very pleasant and strummy, although it doesn�t have a whole lot of identity or character. The setlist appears to be drawn entirely from either the album or the bonus DVD that came with the limited edition version.